If you want to give a baby shower gift, it is a great idea to give something useful for both the mommy and the baby. Keep in mind that everything, absolutely everything is about the baby and the mother cannot focus on anything. The staff at Baby Gift Ideas analyzed some products and decided that today we will show you the best ‘Mommy and Me’ clothes. These clothes are not only adorable but also quite useful. They’d make an idea shower or summer gift, if you are a young mommy, you can buy them for yourself as well. So without further ado, here are 15 most amazing ‘Mommy and Me’ clothes you are ever likely to see. Almost all the entries in this list include matching clothes. But then again, that is the idea isn’t it. This product is no different. It is made out of blend cotton. 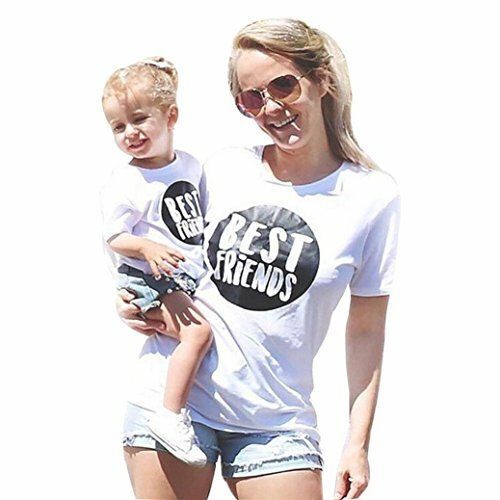 There is a set of white T shirts for both mommy and baby with the caption “Best Friends” written on it. 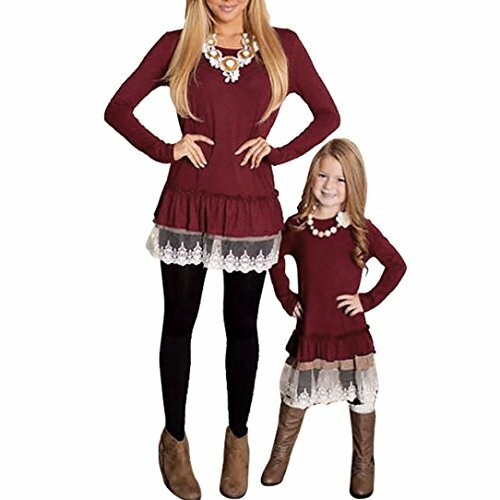 This is a gorgeous long sleeve blouse for a mother and daughter. It features a pull over top and is made out of cotton blend. The blouse is light grey in color with the words “grl power” written in caps. This is a very high quality product at a very reasonable pricing. A beautiful gray cardigan with an open front, this one seriously tempted me but my daughter is younger than this. 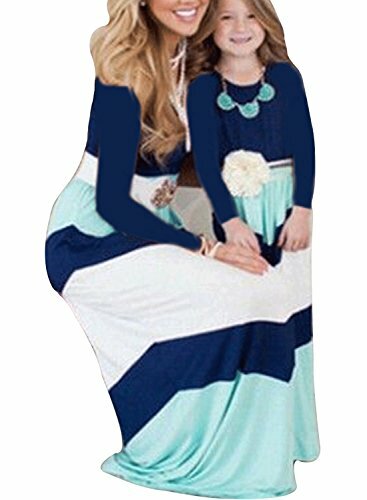 It is made out of very high quality fabric and you can also purchase the mothers and daughters outfits separately. This brilliant set of dresses feature a striped blouse and a red trouser. 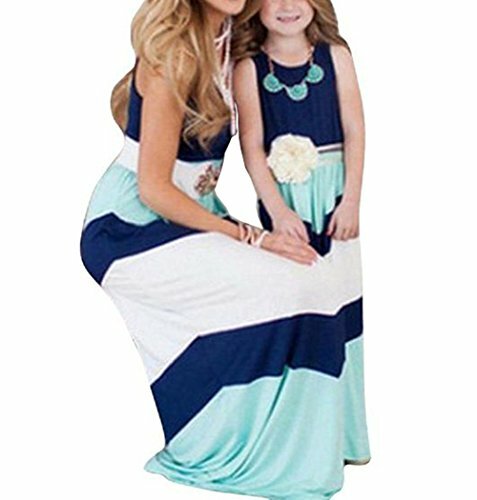 Matching clothes with mommy is a dream come true for any daughter and this dress will ensure that the mother and daughter look great during outdoor activity or special events, family gatherings, church, holidays, girls’ night out etc. With a beautiful lace hooded long cardigan, this is sure to make both the ladies feel like princesses. The style is see through netting. You can casually wear this cardigan with jeans and trousers. The color is off-white. Perfect shirt for summer. Wearing a shirt with a funny quotes is always fun and make the people around you smile. Do what you can to express yourself and spread fun spirit wherever you go! These t-shirts are made out of cool and comfortable fabric. Wow – long sleeves, o-neck and a lace at the bottom, not to mention royal red color. Classy is the word that comes to mind straightaway. It is made out of cotton and can be worn casually as well as formally. Cute pink long sleeves and a gray torso is enough for you to click on BUY. 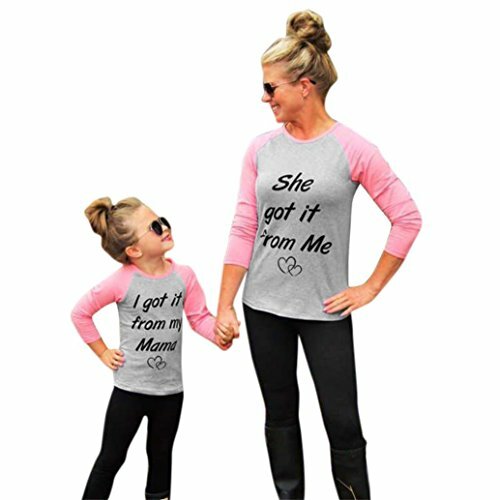 But there is more, the cute engraving on mom’s shirt “She got it from me” and on daughter’s shirt “I got it from mom” makes it absolutely adorable. These long maxi dresses are sure to catch anyone’s eye. They are perfect for both casual and formal wear. Be it summer holidays, parties, evening out and beaches, this dress won’t let you down. 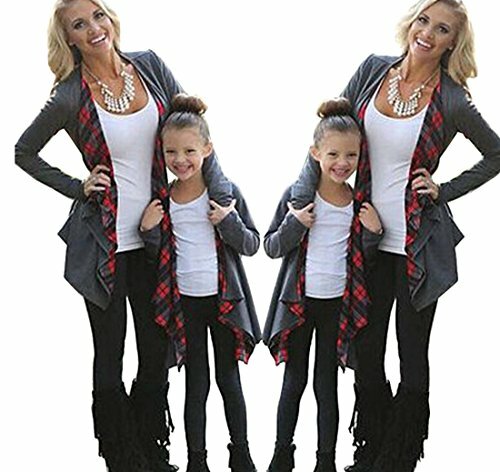 You can purchase mother’s and daughter’s size separately as well. There is something classy about denim that you just cannot put your finger on. Some say it is 1980s but denim continues to thrive. This set includes denim shirt tops coupled with cream colored skirts. Maxi long dresses must be in fashion. That is why we keep finding one brilliant one after another. This dress is made out of 95% polyester and 5% spandex. The dress’ fabric is soft and comfortable. These matching hoodies are too much to handle. I am buying this for myself when I finish writing this list. There is a soft comfortable hoodie with a heart sketched on it. There are two variations, you can either buy a gray hoodie with red heat or a red hoodie with white heart. I have been going on about shirts and dresses, let’s mix it up a little. Let’s look at this matching ski cap that a mommy can share with a baby daughter or son. It is stylish and useful. It would make for an ideal gift. Feel like princess jasmine! The collar of this mini dress is off shoulder which automatically gives a classy vibe. This is a perfect summer gift for any young mom. It is made out of high quality polyester. Everyone loves Christmassy stuff, right? If like black then this is the perfect item for you. There is a large picture of a reindeer at the front to give it a Christmas look. It is a long dress made out of cotton. Ideal for a winder or holiday season gift. This beautiful white dress features an off shoulder collar. It also displays printed flowers. The material is good quality, chiffon with little elasticity. I particularly like the simplicity of this dress. It is elegant and also highly functional.